when Lloyd Associates Incorporated opened its first jewelry store in Brooklyn, New York. There for a number of years we satisfied our customers' needs and desires. When an opportunity arose to expand, we never hesitated to move to White Plains where we bought a larger store and used it as a base to market some of the most unique gems, jewelry, minerals and carvings worldwide. After graduating with an MBA in Finance I ventured out into the corporate world and worked for several years at some of the largest financial institutions in the world. My dedication and commitment to excellence quickly moved me through the ranks where I held top senior level executive jobs. However, I always remained very committed to our business and travelled with Lloyd on many trips around the globe. At trade shows I would often assist Lloyd in selecting merchandise to ensure that we had a great collection of gems, jewelry and minerals in keeping with our policy of only the highest quality at the best prices. Now I have rejoined Lloyd Associates, Incorporated on a full time basis as a qualified gemologist like my husband and some of our team. To keep up with modern demands and technology we have decided to open a new division dba “LLOYDGEMS.COM” under our parent company Lloyd Associates, Incorporated that will serve primarily as an e-commerce store. Our parent company will continue to provide personalized service on gems, jewelry, minerals and carvings appraisals and other related services. 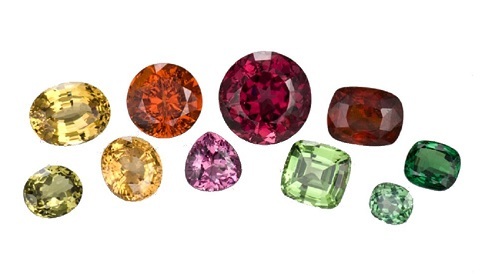 Our Mission: We are here to help you select and buy the highest quality “genuine” gemstones at the best prices; and ensure that you do not pay exorbitant prices for “lab created” or “imitations”. So, whatever you desire - gems, jewelry or minerals - statues, figurines or carvings - diamonds, rubies, sapphires, or whatever other precious or semi-precious stones - we are always here, ready, willing and able, to help you realize your dreams. Just shop online at lloydgems.com or contact us via email at lloydgemsjewelry@gmail.com. Our Promise: Know that we shall always be courteous, respectful and honest in our dealings with you. We will provide you with the highest quality of genuine merchandise at the best prices. And we will only be satisfied when you are. No request will be too small or too big for us to handle. These are our solemn promises to you. So, please shop now at LLOYDGEMS.COM and support our online store. We look forward to building a mutually satisfactory relationship with you for many years to come.